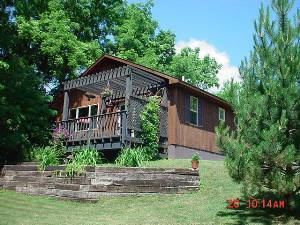 3-Secluded Luxury Cabins, near Galena in Northwestern Illinois, in woods high above the Mississippi, offering charm, quiet luxury and romance. 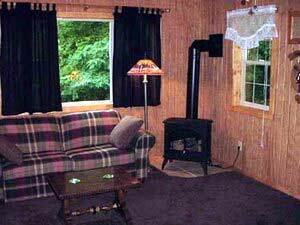 Supplied kitchen, fireplace, CD/VCR/DVD/Satellite TV/32" Flatscreens HD, Custom air, Queen/King bed, Private Hot-Tubs!, trail bikes for Mississippi Palisades State Park. Near boats, fishing, and winter sports. $20 Gasoline Gift Card ! 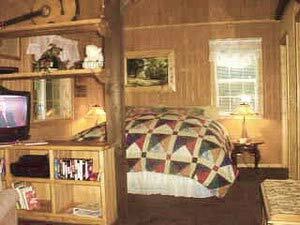 2-3Nite Special Discount Rates Year 'Round. Trees,vines,bushes all grown, Guests rarely see each other. Each Cabin. Surrounded by Deep Woods. 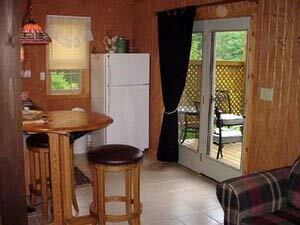 Each Cabin & surrounded by deep Woods. 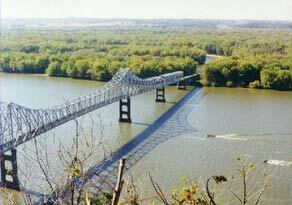 Savanna-Sabula Bridge, mile down Bluffs. 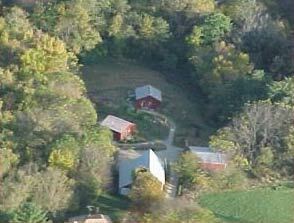 Altho, shot 11yrs ago...Cabins separated by many trees, vines, bushes. 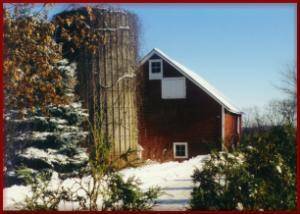 Go past Barn to your Cabin..Guests rarely see each other. $20 Gasoline Gift Card! 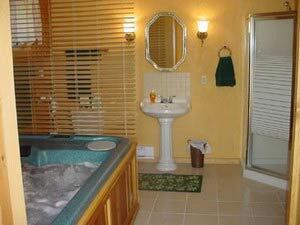 2-3Nite Discounted Rates. Mon-Thur: 2&3 Nite discount package & Special Weekend Pkgs. Lengthier Stays Discounted. Call for Special Pkgs. Deposit: Reservations only. Credit Card w/ expiration date. Will pre-authorize, but do not charge til arrival, should you want too pay otherwise. Cancellations and Refunds: 10% cancel fee for all cancellations. Must cancel 2weeks prior to reservation date or subject to full charge.